Neither the dog — the zodiac animal of 2018 — nor the widely beloved cats and rabbits, have become an extremely popular creatures on social media in China this year. That honor has, instead, gone to the ducks. Why, you may wonder? What did these wiggling and waddling things do to win the love of Chinese netizens? What can they contribute, apart from gracing restaurant tables or becoming down garments? They can, in fact, be repurposed as popular memes, as the pronunciation of "duck" is "ya". This is the same as an interjection of exclamation in the Chinese language. Such memes include "I don't want to work today," " Go for it" and " Need to cheer up today". Normal ducks, or duck-shaped cartoon characters and statues, are widely used. After coming out around mid-2018, they have dwarfed other animal emojis and have become many young Chinese people's favorites on social media. 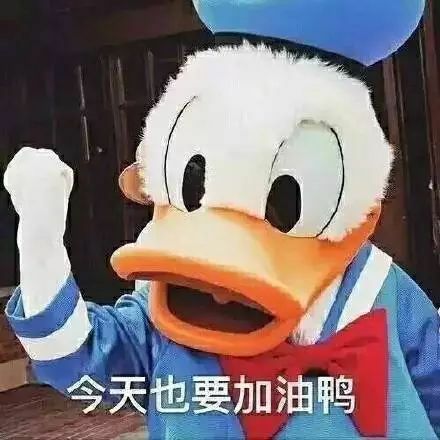 Here are some widely used duck-themed memes, from which you can learn about humorous homophones in the Chinese language.